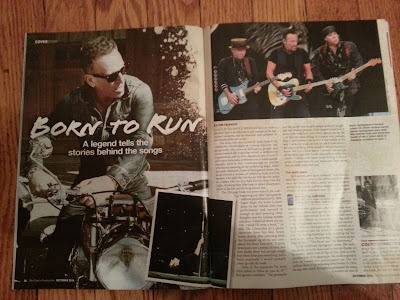 Legends of Springsteen: Springsteen Honors - Cover of the Costco Connection! 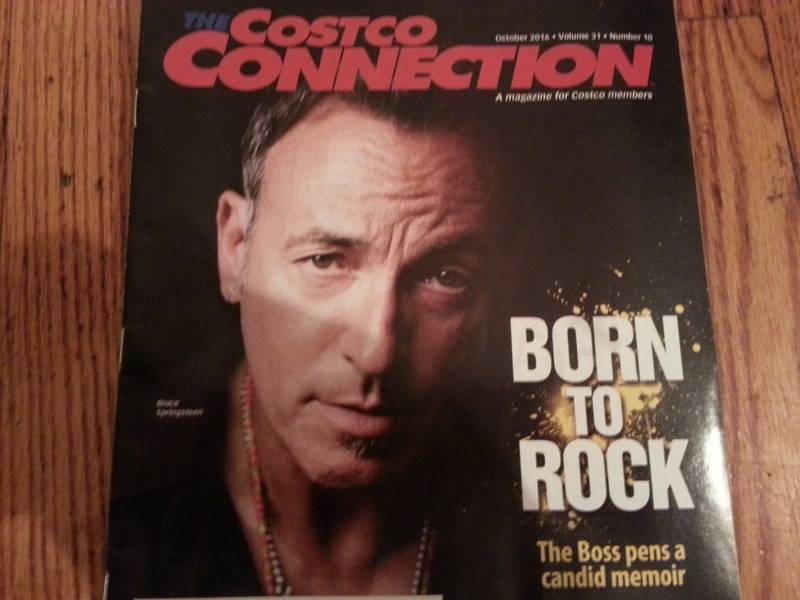 Springsteen Honors - Cover of the Costco Connection! 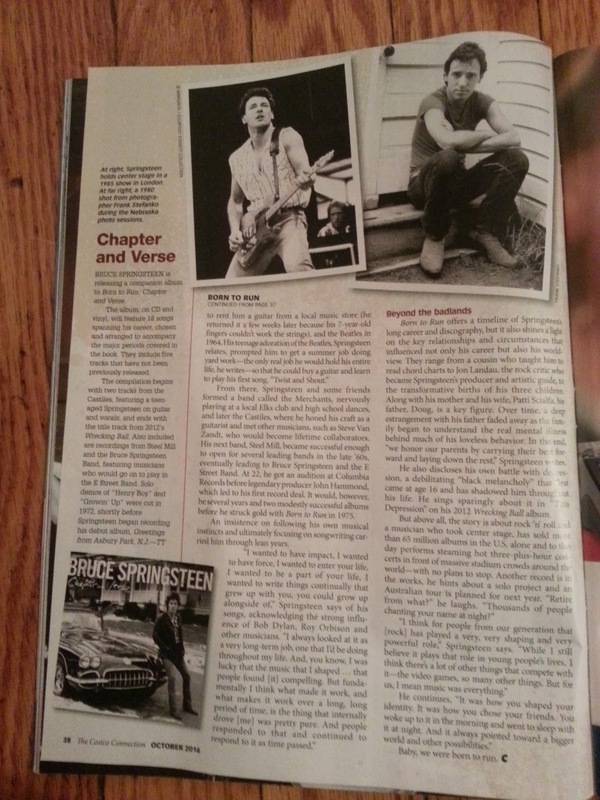 As it has happened for the last several years, Springsteen puts together a promotional push every fall/winter. In 2013, he was gearing up for High Hopes. In 2014, he re-released seven albums. Last year, it was the Ties That Bind box set. Now, it has been all about the new autobiography (side note: I have recently gotten the book, and should have a review ready before the end of the year). So, Springsteen is everywhere, from Colbert to book signings and now, to his latest feat, making the cover of the illustrious Costco Connection! 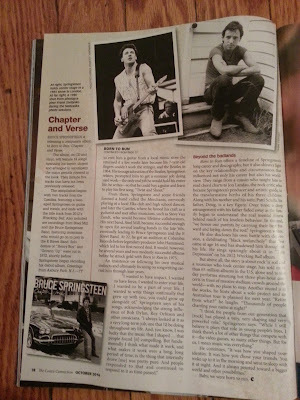 Sure, any artist can get on the cover of the Rolling Stone, but how many artists can say they've been on the premier national magazine of big-box wholesalers? Scroll through the archives, and you'll find entrepreneurs, actors, national heroes, etc. but no musicians....until Bruce broke down that wall. It is just a short two page interview with a couple of good photos, and has no other goal but to promote the book. But still! It is quite the achievement, rivaling the Medal of Freedom he received earlier this month. Plus, I also found a delicious recipe for salty chocolaty peanut buttery crunchy bars! You can download the whole magazine for yourself here. The Official Springsteen 2017 Wall Calendar!